Follow These 20 Tips for Guaranteed Weight Loss Success! - Something New Everyday! Home health Follow These 20 Tips for Guaranteed Weight Loss Success! Follow These 20 Tips for Guaranteed Weight Loss Success! 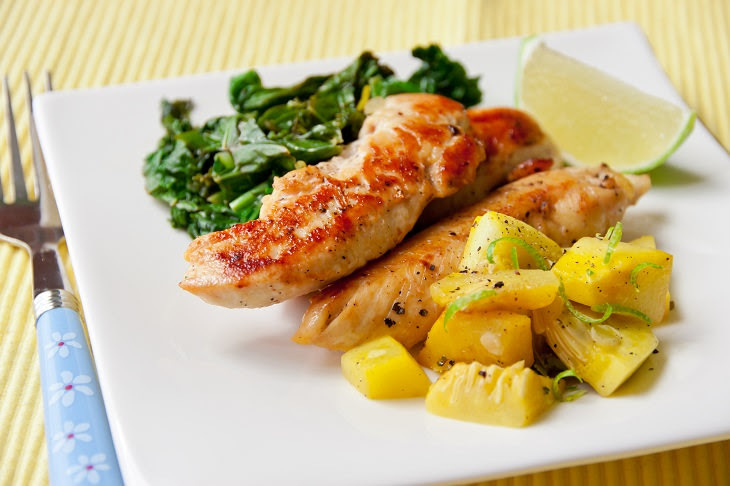 In my younger years, I was obsessed with eating low-fat food and less carbohydrates. But over time, I've come to learn that there is more to weight loss than a low-fat diet. True, to lose weight you need to watch what you eat, but I have found that by adopting certain lifestyle changes and including more wholesome food into my diet, I have managed to maintain my weight. These 20 tips, backed by science, have worked exceptionally well for me. I hope they work for you too. Research has shown that people eat less when served food on a small plate instead of a large one. Scientists believe that eating from a plate which looks full will trick the mind into believing that you are eating more. To control your portion further, scientists believe that eating from blue plates may cause you to eat less than plates of other colors - the reason why this works is unclear. Being sleep-deprived can lower levels of leptin (an appetite-suppressing hormone) while increasing ghrelin (a hunger-stimulating hormone). Consequently, those who are sleep-deprived tend to be hungrier and crave junk foods like carbs, candy, and salty foods. Furthermore, studies have shown that women who go to bed and wake up at the same time every day have lower levels of body fat. When we feel stressed, our bodies release a hormone called cortisol. If elevated for too long, it leads to an increase in the amount of visceral fat around the tummy. Still, cortisol isn't the only hormone that messes with your weight. The thyroid and adrenals play a part too. If our hormones are out of sync, we will find it more difficult to lose weight. Several studies have shown that smelling your food may be enough to trick your brain into feeling full. Satiating smells include extra virgin olive oil, garlic, apples, bananas, fennel, and grapefruit. 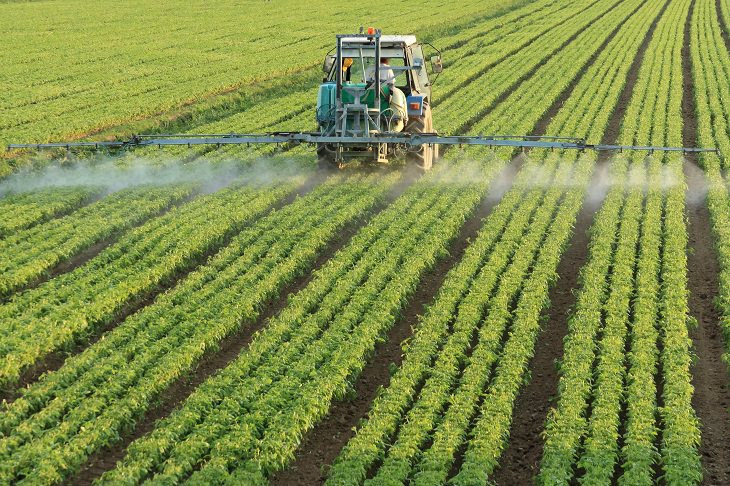 A Canadian study conducted on mice found that chemicals in pesticides slow down metabolic function, increasing the risk of obesity and diabetes. A better alternative would be to buy organic food. According to research conducted, a cheat meal once a week can rev up the metabolism by reviving levels of leptin, balancing thyroid hormones and reducing cravings. As much as possible, try to keep it healthy and choose high carbs over high-fat meals for a high leptin effect. A paper published in the American Journal of Clinical Nutrition reports that multitasking while eating (whether you are watching television, driving or working) or eating in a hurry may cause you to eat more. Aside from being delicious, coconut oil contributes a great deal to weight loss. You can add it to your baked goods, use it to fry, use it as a coffee creamer, or add it to your smoothies. Apple cider vinegar is well known for balancing blood sugar levels and satiety. In one study, participants were given varying levels of apple cider vinegar with carbohydrates in the form of white bread. Blood testa have shown that the higher the levels of apple cider ingested, the lower the blood glucose and insulin levels of participants. Furthermore, those who consumed the most vinegar reported feeling fuller than the others. Mushrooms are a great replacement for red meat when used in dishes like cottage pies, lasagnas, and tacos. 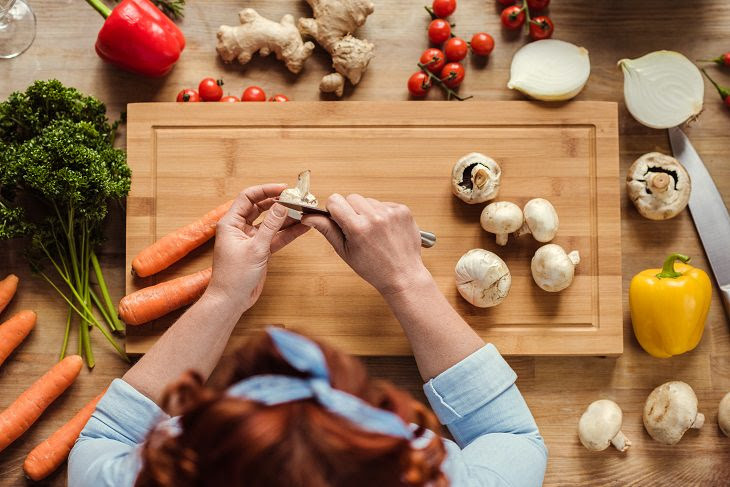 In one study, it was found that individuals who ate one cup of mushrooms each day instead of red meat lost an average of seven pounds, had a smaller waist size, and also a lower BMI. It was also found that these individuals were better able to maintain their weight loss than individuals who ate meat. Avocados are rich in monounsaturated fatty acids, which have been shown to be a powerful reducer of belly fat. Studies conducted also found that individuals who ate fresh avocado with their lunch had 40% less desire to snack over the course of three hours and a 28% less desire over a period of five hours after a meal. Research has found that eating eggs for breakfast can limit calorie intake for the day by more than 400 calories. Ideally, opt for free-range eggs as they have a far greater nutritional value than battery eggs. Garlic: Studies show that rats fed a diet high in fat, alongside a garlic supplement, were found to have reduced weight and fat levels. Cinnamon: Studies have found cinnamon to be a powerful appetite suppressant. In fact, its been shown that adding a small amount to carbohydrates may keep you full for longer. Cayenne Pepper: A substance in cayenne called capsaicin, has been found to suppress hunger and increase satiety. Cayenne pepper has also been found to have thermo-genetic properties which can lead to increased metabolism. Mint: Some studies have found that just smelling mint can lead to eating significantly fewer calories. Ginger: In one study, individuals who drank 2 grams of ginger powder in hot water were less hungry three hours later than participants who didn't drink it. According to studies, drinking a spinach shake in the morning can reduce the effects of feeling hungry throughout the day, promoting weight loss. Just because you are trying to lose weight, doesn't mean that you don't deserve a treat every once in a while. But, if you feel the urge to indulge, go for some dark chocolate. 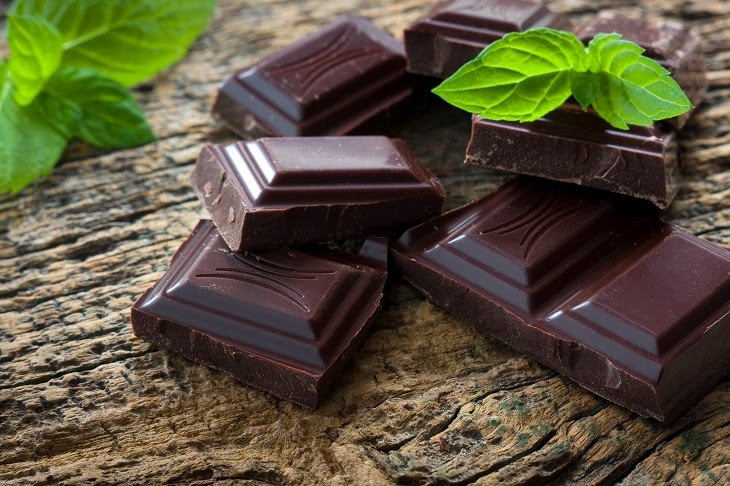 One study found that individuals who ate dark chocolate instead of white experienced lower blood sugar levels - the key to losing and maintaining weight. Stick to whole grain (brown) versions of bread, pasta, and rice to help maintain your weight loss. A study conducted in 2008 found that participants who ate whole grain produce enjoyed greater reductions in weight, body mass, and body fat, when compared to those who ate refined (white) carbohydrates. Whole grain foods are rich in fiber - an essential nutrient when trying to lose weight. A study conducted in 2011 found that mice who consumed a handful of blueberries had a 73% decrease in fat lipids. Other research also found that meals enriched with blueberries saw greater levels of abdominal fat loss in rats. Starting your day off with a bowl of oatmeal will help regulate your blood sugar levels throughout the day, boosting your metabolism after a night's rest. Be sure to stay away from instant oatmeal - one serving can contain up to 17g of sugar. Snack on fruits between meals. Pears and apples, in particular, contain a type of soluble fiber which reduces the amount of sugar and calories absorbed by the bloodstream after a meal, which in turn prevents fat storage and keeps you feeling full. Coffee is known to boost energy and brain function. It has also been found to lower the risk of diabetes and dementia. Studies have also discovered that coffee can increase your metabolism by up to 20% after drinking, aiding weight loss.